CHICAGO, IL--(Marketwired - July 12, 2016) - Lakeshore Recycling Systems (LRS), Chicagoland's leading independent recycling and waste hauler, today announced it has been named a 2016 Top Product of the Year for its sustainable business model by Environmental Leader. This respected daily trade publication covers energy, environmental and sustainability news. LRS was recognized with the honor last month at the Environmental Leader Conference in Denver. The ranking showcases LRS' commitment to protecting the environment based on a business model rooted in sustainability. LRS does not own or operate a landfill. Instead, LRS manually sorts every waste and recycling load separately at its multiple transfer stations. The company then siphons and filters recyclable material by passing it through a conveyor system that combines technology with skilled line workers. LRS' recent investment and subsequent opening of its Heartland single-stream facility last March has been heralded in the industry, featuring an innovative single-stream recycling system that sorts, separates and allocates over 20 tons of waste per hour. LRS also incorporates highly innovative technologies to ensure service delivery accuracy, and is the first waste hauler in greater Chicago to embed RFID chips in containers to track pickups and bill residents. This RFID technology was one of the driving forces as to why the City of Highland Park selected LRS as its residential waste and recycling service provider in 2016. 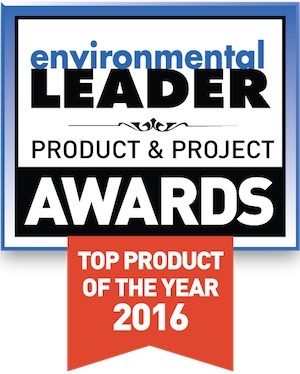 "Each year since the inception of the Environmental Leader Product and Project Awards program, the range and quality of the entries has risen. With the bar set high, the pool of 2016 entrants did not disappoint," said Peter Bussey, research analyst with LNS Research, and judging coordinator for the Product & Project Awards. "The community of providers continues to address the rising demand for cost-effective solutions to address complex environmental, sustainability, and energy management challenges. And end-user organizations are becoming more creative in applying the available solutions to get real results." Serving Chicagoland for over 17 years, Lakeshore Recycling Systems (LRS) specializes in recycling and waste diversion programs, affordable roll-off container services and comprehensive waste removal to Chicagoland businesses and residential homeowners. LRS owns and operates six Material Recovery Facilities (MRFs), a fleet of fuel-efficient natural gas-powered trucks and is run by over 600 committed full-time employees. LRS is a recipient of Chicago Public Schools' coveted Best Partnership Award, is ranked #35 on Waste360's 2016 Top 100 Waste and Recycling Companies in North America and is a 2016 multi-Stevie award winning company with honors including Company of the Year, Most Innovative Company of the Year and Fastest Growing Company of the Year. Controlling over 2.2 million tons-per-year, LRS does not own a landfill and is committed to raising awareness for a more environmentally sustainable and scalable business model that fuels the circular economy. To learn more, visit www.LRSrecycles.com. 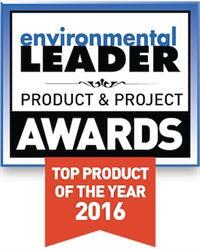 Environmental Leader names Lakeshore Recycling Systems a 2016 Top Product of the Year.